Samrat Pandit is an exponent of Patiala Gharana, a school of Hindustani classical vocal music. As a regular artist on All India Radio, he has been praised for his command on Khayal and Thumri. Samrat was born into a family surrounded by music. His father late Pt Jagdish Prasad was a disciple of Ustad Bade Ghulam Ali Khan, the doyen of Patiala Gharana. His grandfather Pt Badri Prasad was a court musician of Raigarh. In most cases an illustrious father will fail to find a suitable torch-bearer, but the rare genius of this young vocalist is poised to make him an exception. Samrat’s talent surfaced early in his childhood when he recognized complex Ragas and made notations of any music played to him. At age five, he participated in the “Bal Kalakar” program of All India Radio in Bhopal. At age ten, he began to accompany his father in concerts around the world and on television. 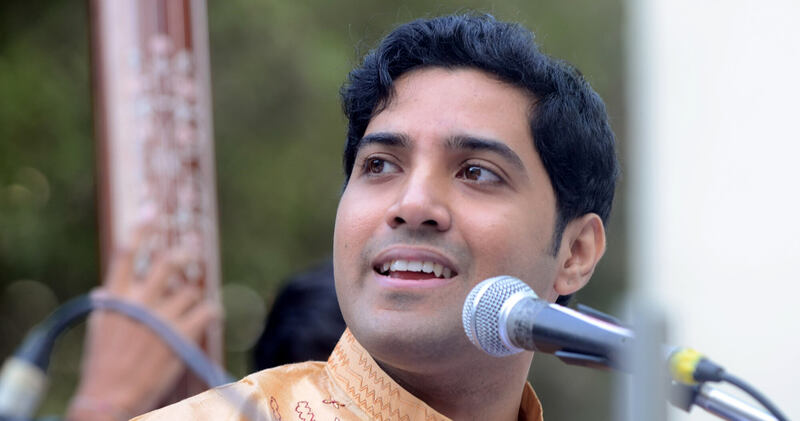 Samrat completed his graduate degree in English at the University of Kolkata before advancing to further post-graduate studies in Indian classical music. 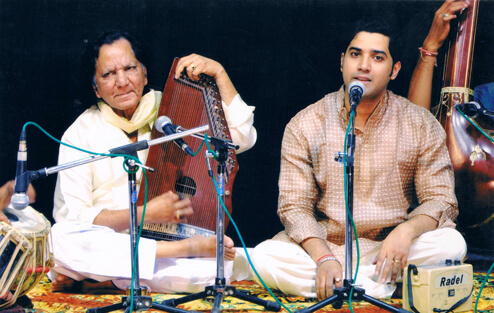 Samrat Pandit launched his solo career in 2001, while continuing to offer vocal support in his father’s performances. 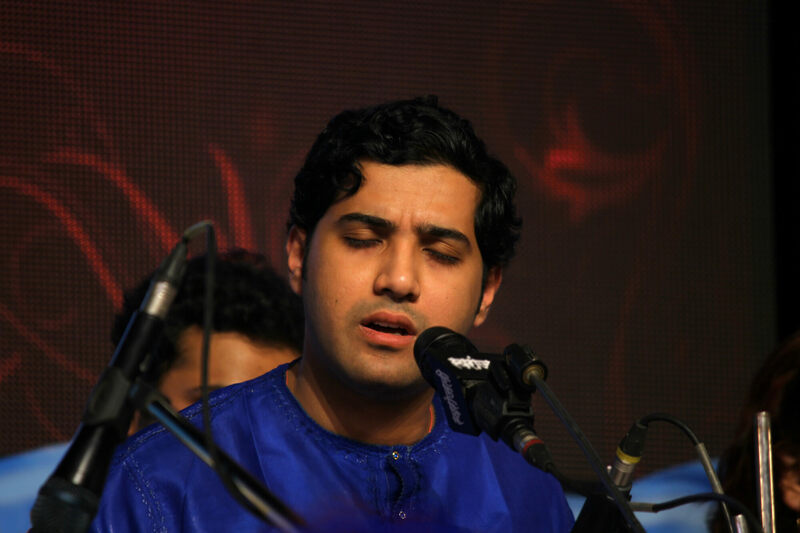 His musical career has taken him to all the major music festivals of India. Some of his concerts highlight occurred at Pune (Sawai Gandharva), Nagpur, Bangalore and Mumbai. 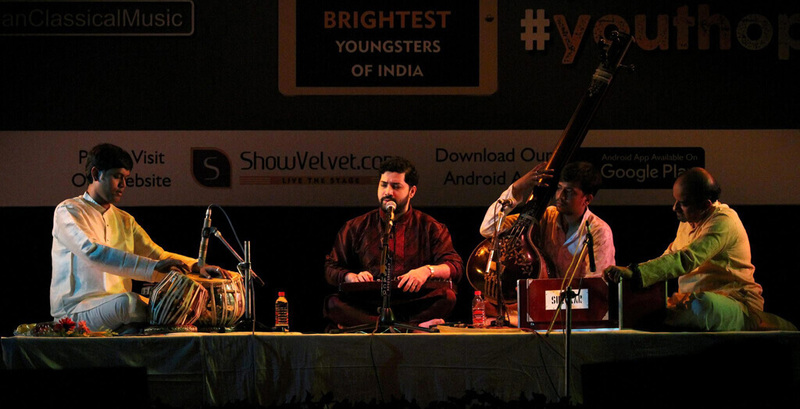 In his native Kolkata, Samrat has performed at many notable venues including the ITC Sangeet Research Academy and the Salt Lake Music Conference. He has performed in various concerts of Europe, England, Netherland, and North America, Canada . In 2014 he was awarded with the prestigious Sangeet Shiromani award of Sri Shanmukhananda Fine Arts and Sangeetha Sabha, by the Governor of Maharastra. Finally, he also has cds and dvds to his credit.